After years of insufferable destitution and hardship, Roisuddin, a veteran of the 1971 liberation war can finally look forward to financial recuperation, a prospect made possible through the effort of a handful of young professionals who have collaborated to form the “Fight to Freedom” foundation. Bir Roisuddin's story is not very different from those of many other Freedom Fighters today. Despite being the spirit behind the priceless independence we are blessed with today, these Freedom Fighters are stricken with poverty and their conditions remain ignored. 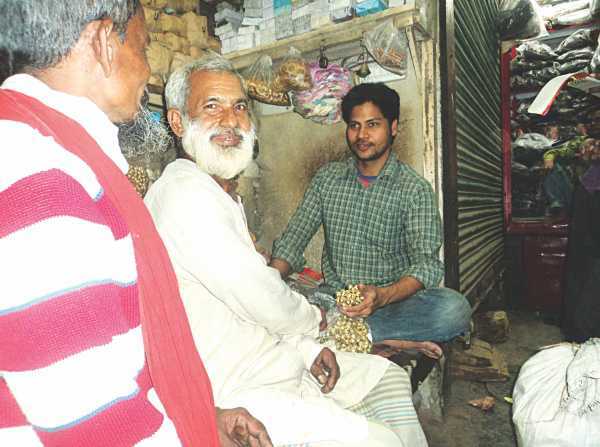 For years, Roisuddin earned his livelihood by going door to door in his village of Betrati offering to carve shil-patas for a meager price, while being encumbered with the responsibility of a family consisting of four young daughters, with two of them still in school. Now, the 'Fight to Freedom' foundation has decided to lend Roisuddin a helping hand. Acknowledging the debt which all Bangladeshis owe to the liberation war veterans, the foundation is determined to make a difference in their lives, and this noble mission started off with Bir Roisuddin as the first beneficiary. Within days of the foundation's inauguration, donations started pouring in, not only from Bangladeshis at home, but also from many residing abroad. A sufficient amount of capital was eventually raised and that has been utilised by setting up Bir Roisuddin with a small venture. Fight to Freedom believes that this is only the beginning of an ambitious mission aiming for the enrichment of those brave lives that leapt into struggle, unconditionally, and fought their way towards the freedom of our nation. Much like the liberation war, this is going to be a struggle to free the heroes of our nation from the clutches of poverty. The foundation aspires that one day, with the help of supporters from all across the globe, it can help the Freedom Fighters and their families to live self-reliantly and favourably in a nation they helped to liberate.